Acupuncture is a holistic health technique that stems from Traditional Chinese practices where trained practitioners stimulate specific points on the body by inserting thin needles into the skin. Most of the studies investigating acupuncture to date have examined whether acupuncture can safely reduce pain. However, researchers are also investigating whether or not it might help with other conditions, too, including anxiety, depression, inflammation, hot flashes, side effects of chemotherapy and insomnia. The National Institute of Health does consider acupuncture to be “generally considered safe when performed by an experienced, well-trained practitioner using sterile needles.” (NIH) However, it’s important to always go to a practitioner that is well-trained in acupuncture as well as to a facility that is very careful about using clean needles — improperly performed acupuncture and/or contaminated needles can pose a big risk. The good news is that the FDA regulates acupuncture needles as medical devices and requires that the needles be “sterile, nontoxic, and labeled for single use by qualified practitioners only.” To date, there have been very few complications reported from the use of acupuncture needles, so the risk is thought to be very low. This doesn’t mean that risk doesn’t exist, however, because some serious side effects have occurred when non-sterile needles have been used. As far as how much acupuncture is needed before seeing results, firm clinical guidelines have yet to be established. 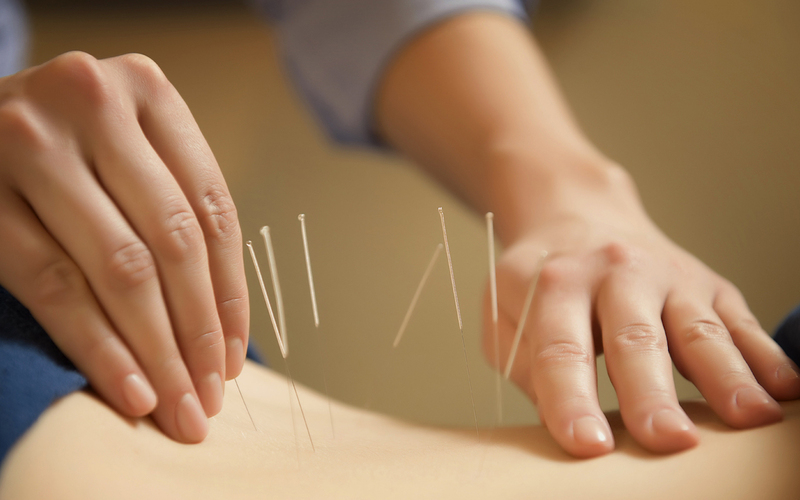 Acupuncture is usually recommended as a complimentary treatment method — as something to try in addition to other pain management techniques, such as physical therapy, exercise and reducing inflammation through a healthy diet. The review looked at multiple clinical trials comparing the effects of acupuncture sessions to “sham” (placebo-type of acupuncture) sessions and to receiving no treatment at all for the relief of migraine headache pain. In particular, both the group that had needles randomly placed and the group that had strategically placed needles experienced a reduction in headache symptoms. The control group did not experience any change. Beijing University of Chinese Medicine conducted a large meta-analyses in 2009 that showed a beneficial effect of acupuncture on reducing insomnia symptoms, compared with no treatment. (NCBI NIH) The analysis found that in patients who were taking medications or herbal treatments to help with sleep, adding acupuncture therapy showed better effects than taking the medications or herbs alone. Another benefit was that unlike many sleep medications, the acupuncture sessions had no adverse side effects at all. Researchers reported that the patients in both acupuncture treatment groups also experienced less pain from treatments, improvements in quality of life and a decrease in various negative side effects of chemotherapy, such as nausea. Some early research has showing new information about the effectiveness of acupuncture on Parkinson’s. Studies show that can relieve age-related cognitive decline symptoms as it generates a neural response in areas of the brain — such as the putamen and the thalamus — that are particularly affected by Parkinson’s disease. Acupuncture points, or “acupoints,” are specific locations on the body that are the focus of acupuncture treatments. TCM explains acupuncture as a technique for “balancing the flow of energy or life force,” and that energy can be reached by stimulating small specific channels on the body. Practitioners believe that there is a flow, known as “qi” or “chi,” that is located in certain “meridians” throughout the body. Chi is thought to be what separates the sick from the healthy — and when chi is not balanced, illness, pain, poor sleep, and fatigue can all occur. There are 14 major energy-channel meridians on the body, with hundreds of points located along each meridian where acupuncture needles are inserted. These include some 360 different points on the hands, arms, feet, head, back and over the major organs. The belief is that by inserting needles lightly into certain points on the body, the chi flow can be tapped into and the patient’s energy can be rebalanced. Acupuncture points tend to be located where nerves enter a muscle, the midpoint of a muscle, or at a point where muscle joins with bone. Acupuncture is considered to be a family of procedures, not one single exact approach to pain or disease management. All acupuncture practices involve the stimulation of specific points on the body using a variety of techniques, usually needles. The type of acupuncture that has been studied most so far in clinical, scientific research settings is the type that uses thin, solid, metal needles to lightly puncture the skin. Acupuncture is usually done by hand, with a trained practitioner carefully inserting the needles into specific points in the body very shallowly into the skin. Normally about 10 to 20 thin needles are used at one time. The needles are small enough to fit inside of a normal-sized needle that would be used to take blood, making the process pretty painless for most people. There are also types of acupuncture that use light electrical stimulations that flow through the needles, or no needles at all. For example, acupressure is often thought of as simply “acupuncture without the needles” and uses targeted massage-type techniques to stimulate energy in the body by pressing on certain points. First, the acupuncturist will speak with the patient about their pain and health-related goals. Then they will usually look at the patient’s tongue and press on their vital organs to see if there is anything noticeable contributing to an imbalance. The acupuncturist will then use sterile, disposable small needles and will place them along specific “meridians” on the body. The acupuncturist will check for “pulses” on the body by gently placing their fingers or hand on the patient’s body to feel how the patient’s energy is flowing. Redness can also occur around a needle site, and this is thought to be a sign that as energy is not balanced in that area. The needles will usually stay in for a short period of time while the patent’s energy is reworking and balancing itself. After the needles are removed, the patient can go about their day and are usually advised to drink plenty of water in an effort to help the detoxifying process. Acupuncture is a promising solution to the chronic pain sufferers that have come to expect pain and thus experience heightened levels of pain and trauma.